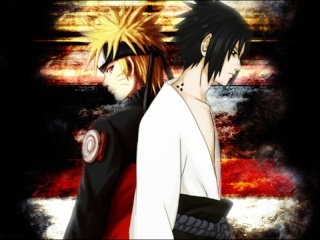 A roleplay forum based mostly on Naruto. Welcome to Tsuki no Kokyuu! We are currently Under Construction but should be up and running in no time! All new members please go here to ind out on how to start your Rping experience with us on Tsuki no Kokyuu. Pay attention to this category because this is where the Tsuki Staff will announce anything involving the site that may or may not affect you and your creations. Please Read before beginning your Rping Experience on our forum. Here is where you will find information on the current plots occurring on the site. Here is where new members can introduce themselves to the forum. Remember, first impressions are important. If you have any questions, private message the Admin or Head Mod. Here is where members can inform the rest of the site if they cannot post and when they may return. Also, if members are leaving the forums. Please keep the goodbyes short. Here is where you can talk about anything you can imagine and is PG-13 and below. Want to talk about a different manga? A movie? Your favorite food? Your pet dog Annie? Go for it! Here is where you will create your Character. Please read the Character Rules and use the template provided when creating. Here is where you will post your Jutsu. Please read the Jutsu Rules and use the template provided when creating. Here is where you will create your Weapons and Items. Please use the appropriate template provided. Here is where you will create your Clan/Bloodline. Please use the appropriate template provided. Here is where you can create any Spirits or Demons (not including the Bijuu). Please use the template provided when creating. Here is where you can create an Organization. Please use the template provided when creating. Here is where you can create a Seals and Tattoos. Please use the template provided when creating. Here is where you can create your own summons, but please use the template provided. Mist has drawn the country into many wars in the past. Under the leadership of the Fourth Mizukage, the citizens of the country blamed the constant strife on the powerful clan bloodlines in the region. For that reason they turned against the clans and wiped many of them out. However, over the years some of the bloodlines remain active in the service of Hidden Mist. The village was founded approximately 60 years before the start of the series and is marked by deserts and dry mountain ranges. Approximately 13 years before the start of the series, the village was at war with Leaf. Their invasion path took them through the Grass Country. Kusa contains some of the more widely varried landscapes in the series, with forests, grasslands, mountains, rivers and bamboo thickets all around. Because the country lies between Earth and Fire, it has been in invaded by the Earth Country during previous ninja wars. To avoid Earth gaining a foothold next to the Fire Country border, many Leaf ninja came to Hidden Grass's aid during the war; resulting in many skimishes taking place within its borders. Hidden Leaf is one of the most powerful ninja villages in the world. The village was founded approximately 65 years before the start of the series when several ninja clans came together. These included the Senju Clan of the Forest, which included the brothers who would become First and Second Hokage and the Uchiha Clan under Uchiha Madara. Approximately 9 years before the start of the series, Hidden Cloud and Leaf were locked in war. The two countries decided to sign a peace treaty to end the conflict. This is a minor village notorious for terrorist activity. No, really. Terrorists seem to love rainy villages.